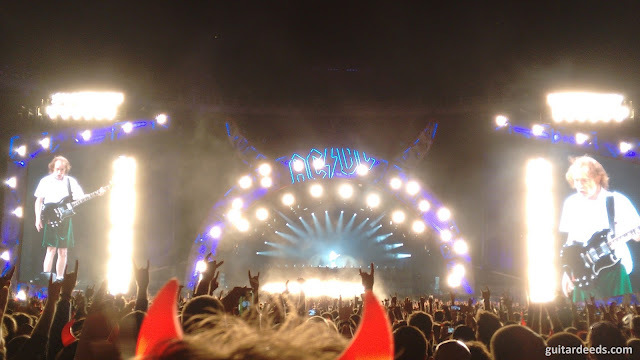 Last night (May 19th, 2016) AC/DC played a live show in Vienna. 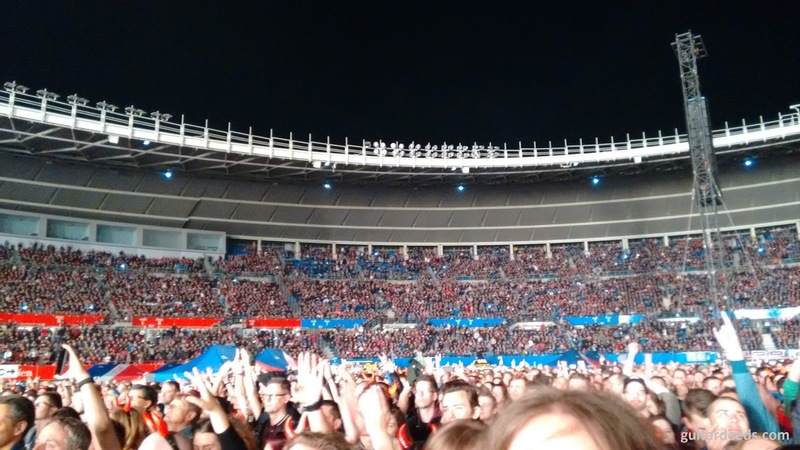 It was their second tour stop in Austria of their Rock Or Bust World Tour. 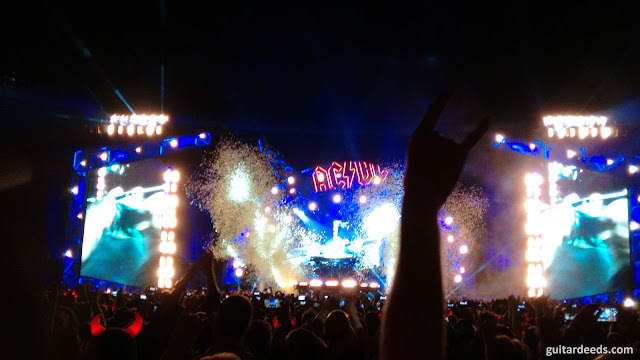 First stop was last year in Spielberg (check my report). 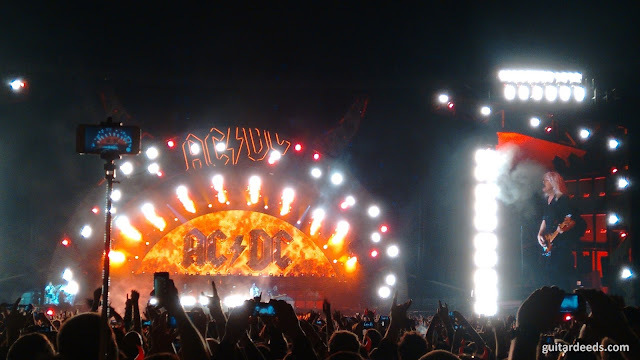 This time Brian Johnson couldn't sing because of his partial hearing loss diagnosis. I hope this is not a permanent thing and I wish Brian all the best! The replacement singer was none other than the great Axl Rose. His vocal performance was amazing. 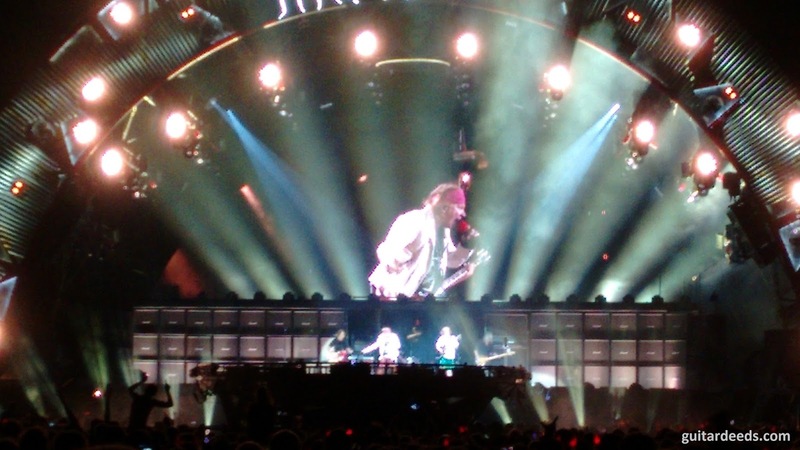 I saw this guy two times live with Guns N' Roses and I have to say that his AC/DC performance was much better. You could hear and feel that singing for AC/DC was his childhood dream. 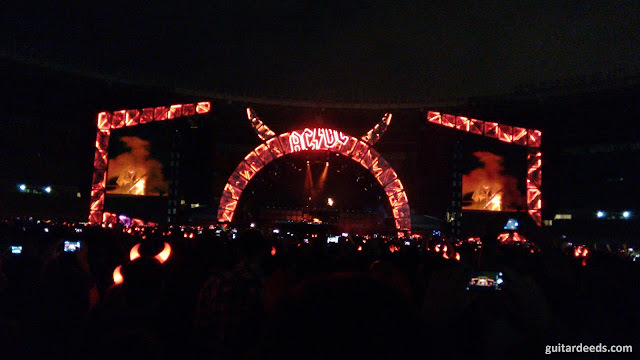 Before they played Whole Lotta Rosie he told the crowd that this was the first AC/DC song he ever heard and that it has changed his live. As you can see in the setlist below Axl added some alltime classics to their setlist: "Rock'N'Roll Damnation", "Givin' The Dog A Bone", "If You Want Blood (You've Got It)" and "Riff Raff". 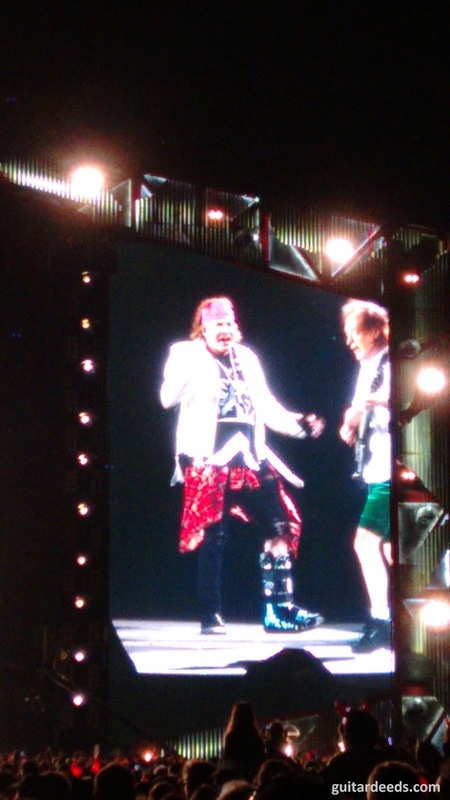 The Vienna show was the first show where Axl Rose could stand up while performing (he had broken his foot and performed the previous shows in a chair).